Despite its obvious perks, however, a spacious kitchen is a luxury that can be hard to come by—especially if you’re living in the middle of a big city. For those in the market for a condo, rental, or studio apartment, the option of a luxe, airy kitchen may be un-realistic and, quite simply, non-existent. Fear not, though! With the aid of a skilled interior designer, contractor, or even just some DIY ingenuity, even the tiniest of tiny kitchens can be made to be just as fully-featured, functional, and fabulous as its large-scale counterparts. 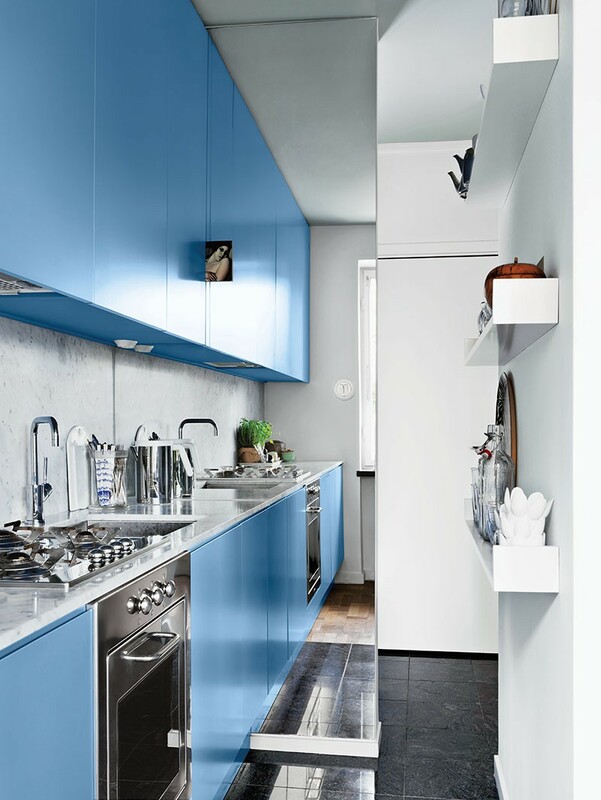 Below are twelve stunning, modern, and surprisingly small-space-friendly kitchens that pack a whole home’s worth of brilliant ideas into their limited areas. The kitchen of interior designer Michel Penneman features a narrow kitchen table that cantilevers out from the space between windows. Photo by Ricardo Labouble for Architectural Digest Espana. Via Dust Jacket.